NEW YORK (AdAge.com) — The image seemed jarring: On a February broadcast of ABC’s “Modern Family,” members of the cast chatted happily while travelling in, of all things, a Toyota. What was one of the nation’s most beloved sitcom families doing in a vehicle made by a company undergoing a massive recall?Blame today’s aggressive product integration in TV programs, which are often filmed several months ahead of time. The Toyota pact was struck well before the automaker recalled millions of its cars across several models. Toyota vehicles have been appearing in “Modern Family” as part of a product-placement deal struck with ABC that covers the entire 2009-2010 season, said Toyota spokeswoman Celeste Migliore. Characters in the sitcom that have used Toyotas in the series are Claire and Phil Dunphy, who drive a Sienna, and partners Cameron and Mitchell, who drive an environmentally friendly Prius. In 2009 alone, Toyota made 16 appearances over the course of more than eight minutes’ worth of “Modern Family” time, according to Kantar Media. And the cars keep showing up on screen, mainly because ABC keeps rerunning episodes. The show is so appealing to a broad swath of consumers, according to one media-buying executive, that many advertisers are eagerly inquiring how they can get their products into the show. An ABC spokeswoman referred inquiries to Toyota. A spokeswoman for News Corp.’s 20th Century Fox, which produces “Modern Family,” was unable to make executives available for comment. 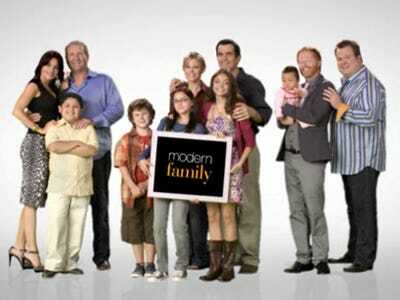 So why link “Modern Family” to the brouhaha? Blame an emerging obstacle in TV advertising: With more viewers making use of ad-skipping digital video recorders, marketers’ recourse has been to push for more ways to intertwine their products with the programming itself. “Being in the show is going to become more and more relevant,” said Mike Davis, an executive producer at Brand Arc, the firm that negotiated Toyota’s appearances in “Modern Family” with ABC. That’s because “people are going to continue to fast-forward past your commercials,” he added. That creates a new dynamic. When a crisis involving a particular marketer or product arose in the past, common practice was to remove all commercials from those entities as soon as possible. Contracts with airlines, once heavier TV advertisers, often held that, in case of a big plane crash, all ads were to be pulled immediately. Placing products into shows, however, often requires as much as seven to nine months’ worth of planning, according to executives familiar with such negotiations. The goods are made part of a script or storyline and are often captured as part of key scenes in an episode. In many cases, pulling a product appearance from a key scene simply is not logistically possible — and can be expensive, when it is. The ability to yank a product from within a show isn’t always made part of contracts, said one media-buying executive familiar with such deals. “If something is going on with the show or in the marketplace, we have the ability to make a judgment call,” the executive said, but TV networks “won’t put that stuff in writing. [Instead,] they say, ‘We will work in good faith. '” The networks don’t want to create a situation in which their executives would lose control over a program’s creative direction, said this executive. Toyota’s reasons for keeping its cars in “Modern Family” are simple: After spending a lot of ad money reassuring the public, it wants to get back to selling. “We have many products out there that have not been recalled,” said Toyota’s Ms. Migliore. You could well see some of them continue to turn up on “Modern Family,” even as news stories about Toyota’s larger problems surface on TV, too.